Step aside "Elf on the Shelf" because The Elf WorkShoppe has a whole line of elves and accessories that are ready to fill your home lots of holiday cheer. These elves are super cute and they are semi-poseable with their Velcro hands. You can can choose from four different elves (male/female and blonde/brunette). Plus there are a bunch of decor options to choose from to keep your elves busy and looking their best. My daughter chose the Elf Express Train because she thought it would look neat under our tree. I thought the bath tub was cute, but gave in to her because I usually let her do the decorating since she's the youngest and my teenage son really doesn't get into it like he did when he was younger. I thought these elves were really cute, and they even sit up on their own so you can move them around just like an "Elf on the Shelf" if you wanted to. 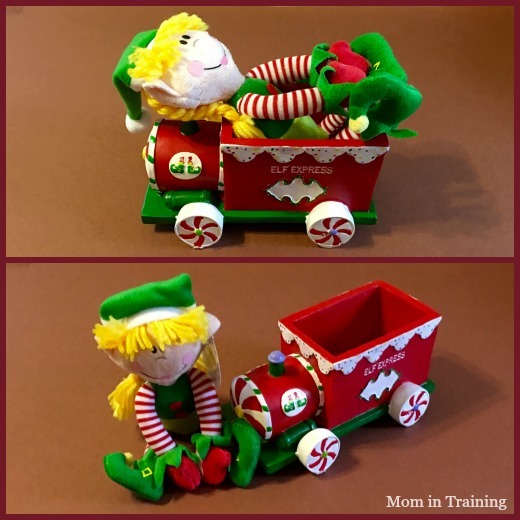 Shop: You can shop The Elf WorkShoppe online anytime day or night. Plus right now with code "elf" you can get 50% off!